You’ve read all the materials and you know that Dr. Castenada and her staff have been brightening smiles for 25 years. But what if you had a bad experience with a dentist in the past? What if you’re nervous about all the procedures? Perhaps your fear is overtaking your desire to have a beautiful smile and more professional image? Dr. Castaneda incorporates a compassionate, gentle chairside manner with cutting-edge techniques and technologies into her cosmetic dentistry practice that are nothing like practices of yesteryear. You can choose from a variety of amenities: comfortable massage chair, watch movies through virtual reality goggles or zone out to soothing music while wearing headphones . You might just relax as you’ve never relaxed before in a dentist’s office. Not only will you find this highly regarded practitioner, who was featured in both Details and InStyle Magazines, a patient and kind advocate for you, she is adept at tackling your anxiety. Unlike her peers in the industry, Dr. Castaneda was trained to deal with your fears. She received extensive training in Dental Phobia Management during her residency at Mt Sinai Hospital in New York City. 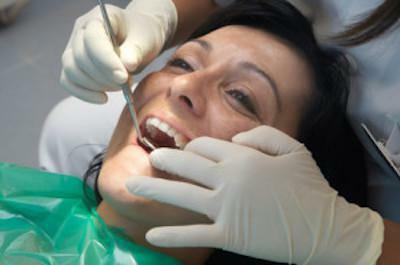 If despite your best logic, you still need further management of your fears, Dr. Castaneda can offer you nitrous oxide sedation, anti-anxiety medication or in extreme cases, sedation under the care of a licensed dental anesthesiologist. She will always have your best interest in mind.